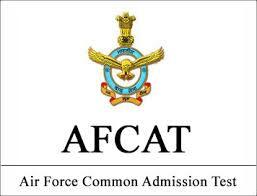 Check how to Download the AFCAT Admit Card !!! AFCAT Exam will be on 16th February 2019 and 17th February 2019 !!! About: Air Force Common Admission Test (AFCAT) is a National Level Entrance Examination conducted by the Indian Air Force (IAF) for admission into Flying Branch, Ground Duty (Technical Branch), Ground Duty (Non-Technical Branch). About Indian Air Force: The Indian Air Force took off as a tiny fleet with four Westland Wapiti army co-operative by-planes, six RAF trained officers and 19 Hawai Sepoys. Today, it is the fourth largest Air Force in the world with a highly technical and specialized fighting force that safeguards our skies against enemy invasions. Conducting Authority: Air Force Common Admission Test (AFCAT) is conducted by Indian Air Force (IAF) every year in two sessions. Frequency: The AFCAT will be held twice a year in the months of February and August. Stage 1(Online Exam): Intelligence Test which consists of topics from General Awareness, Verbal Ability in English, Numerical Ability, and Reasoning & Military Aptitude. Stage 2: Psychological, Group Test and Interview which will be carried for 5 days. Examination: AFCAT 2019 will be conducted through Online i.e. Computer-based Test and the AFCAT Exam date is on 16th February 2019 in 60 cities across India. Results: Result will be declared on the official website for all the candidates on 4th March 2019. Counselling: Candidates who have cleared the AFCAT 2019 will be called for the counselling/ selection process. The candidates must have passed a Bachelor's Degree in Aeronautical Engineering or equivalent course with minimum 60% marks from any recognized university. The candidates must have passed a Bachelor's Degree (Arts & Science and Engineering) in any discipline with a minimum of 60% marks. Syllabus: The below listed are the syllabus for AFCAT 2019 which has been released by the Indian Air Force (IAF) for Air Force Common Admission Test (AFCAT) in Flying Branch, Ground Duty (Technical Branch), Ground Duty (Non-Technical Branch). Verbal Ability in English - Comprehension, Error Detection, Sentence Completion, Synonyms, Antonyms and Testing of Vocabulary. Numerical Ability - Decimal Fraction, Simplification, Average, Profit & loss, Percentage, Ratio & Proportion and Simple Interest. Reasoning & Military Aptitude - Verbal Skills and Spatial Ability. Sections: There will be a total of 4 sections which includes General Awareness, Verbal Ability in English, Numerical Ability, and Reasoning & Military Aptitude. Marks (Section Wise): General Awareness - 20, Verbal Ability in English - 20, Numerical Ability - 20, and Reasoning & Military Aptitude - 40. Marking Scheme: +3 marks for the correct answers and -1 marks will be deducted for an incorrect answer. Medium: The question paper will be in English medium. Registration Fee: Candidates have to pay the Registration Fee of INR 250 for General/ OBC/ SC/ ST/ PWD category candidates through online mode of Credit Card/ Debit Card/ Net Banking or Challan Payment. Registration Process: The registration process for AFCAT 2019 includes 5 different steps: Registration, Filling the Application Form, Graduation Information, Course Opted & Choice of Exam Centre, Personal Details, Upload of Documents (Photograph, Signature, Thumb Impression (Male - Left/ Female - Right)), Registration Fee Payment. Coaching Centre: Bangalore/ Bengaluru, Chennai, Mumbai, and New Delhi are the major coaching centre for AFCAT 2019 in India. New Delhi - Cadets Academy/ No. M-3, Mukherjee Tower, Dr. Mukherjee Nagar Near Batra Tower, Delhi. Exam Centre: The AFCAT 2019 is conducted in 60 cities across India on the AFCAT Exam date. Choice: Applicant can choose the exam cities as exam centre while filling the Application Form. Change of Centre: No request for change of centre would be considered under any circumstances. Details on Admit Card: The AFCAT Admit Card contains details such as Name, Roll Number, Exam Centre, Exam Date, Photograph, Signature. Note: Candidates will not be allowed to appear for the Entrance Examination unless he/ she produces the hall ticket from the Indian Air Force website at the exam centres along with ID proof in original & a photocopy of the same. Result List: The result will be published in the form of pdf where the students have to look for their registration number and name for the result. Merit List: A separate merit list will be prepared based on the score secured by the candidates for the next selection process. Selection Process: The candidates who clear the AFCAT 2019 will be called for the next step of the counselling/ selection process. Counselling: The counselling/ selection process will happen after the declaration of the result. Respond To Advertisement Followed by Written Test: Candidates have to appear for the AFCAT which is conducted twice a year in February and August. AFSB (Air Force Selection Board) Testing: The candidate will receive a call letter regarding the AFSB Testing where they have to undergo for various testing in any one of the Air Force Selection Boards located at Dehradun, Varanasi, Gandhinagar and Mysuru. Conduct of Medical Examination: If you are recommended by the Selection Board, you will be sent for the medical examination either at Air Force Central Medical Establishment (AFCME), New Delhi or Institute of Aviation Medicine, Bengaluru. Preparation of All India Merit List: An All India Merit List is compiled on the basis of your performance in the written test and AFSB Interview, subject to being medically fit. Address: West Block - VI, Air HQ (RKP), RK Puram, New Delhi – 110066. The Indian Air Force (IAF) conducts the Air Force Common Admission Test (AFCAT) twice every year. The two sessions in a year are held during the months of February and August. The posts that are open after clearing this exam are Ground Duty (Non-Technical Branch), Ground Duty (Technical Branch) and Flying Branch. Q: When will AFCAT 2019 be conducted? AFCAT 2019 is scheduled to be held on 18th February 2019. Q: What is the AFCAT 2019 Syllabus? The areas to be covered while studying for AFCAT 2019 are Numerical Ability, Numerical Reasoning, General Awareness, Verbal Ability in English and Military Aptitude. Q: Does AFCAT 2019 follow negative marking scheme? Yes. -1 marks for every wrong answer and +3 for every right answer. Q: What is the question paper pattern of AFCAT 2019? AFCAT 2019 is a computer-based test with 100 Multiple Choice Questions. Total marks allotted for the examination is 300. Candidates have a duration of 120 minutes to answer all questions. The medium of question paper is in English. Q: When will the AFCAT 2019 Application Form be released? The Application Form will be made available on the IAF official website from 17th December 2018. Q: When is the deadline for submitting the AFCAT 2019 Application Form? The last date to submit completely filled AFCAT 2019 Application Form is 18th January 2019. Q: Can I change my examination centre after submitting the Application Form? No. After the submission of the Online Application Form, no changes in any of the fields are permitted. Q: When will the results of AFCAT 2019 session I be announced? The results of AFCAT 1 are expected to be declared on 4th March 2019. Q: Is AFCAT 2019 open for Female candidates? No. Only Male candidates are eligible to apply for the AFCAT 2019 Exam. I wrote AFCAT exam and got 49 cutoffs and choose this college. Basically, the typical cutoff would be minimum 45 to get into this college. The eligibility criteria for joining Swami Shraddhanand College is clearing the AFCAT exam. The cut-off for the course is 74% for SC students in PCMB.